I'm a college student who uses a bicycle as my main mode of transportation. I received a new Schwinn from my parent's for my 14th birthday, and am now 19. A long story not-typed, the bike hasn't been very well cared for, and has seen a pretty high (IMO) amount of wear. 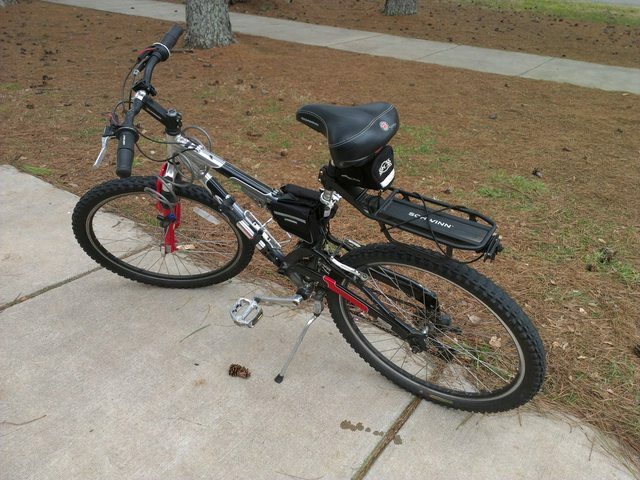 Now I'm about to start a job, and need a bike to get to work. My dad is adamant that it won't be a problem to fix up my current bike, and isn't going to help me find a new one. I'd like some feedback on how I should go about parts searching (my first motion is to search Amazon) or whether I should look for a new bike. 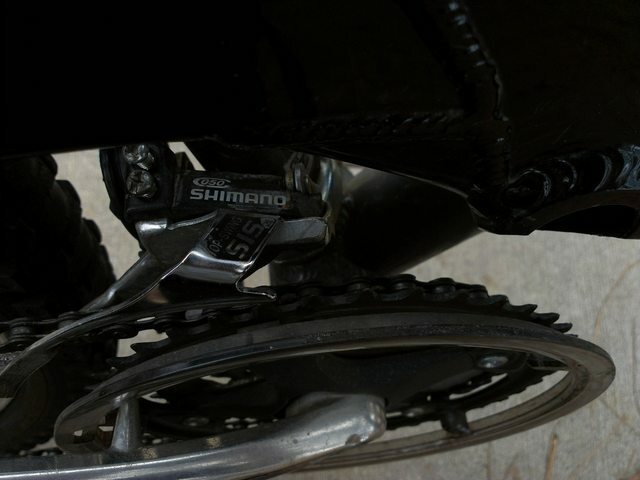 -The bearing in the crank (pedals) are shot, pedals are physically 'loose' and make pedaling difficult. Any input? I found a page on amazon for purchasing a "bottom bracket" which looks like something that would replace the bearings in my crank altogether? I'm now sure how I would tell which size to buy either. 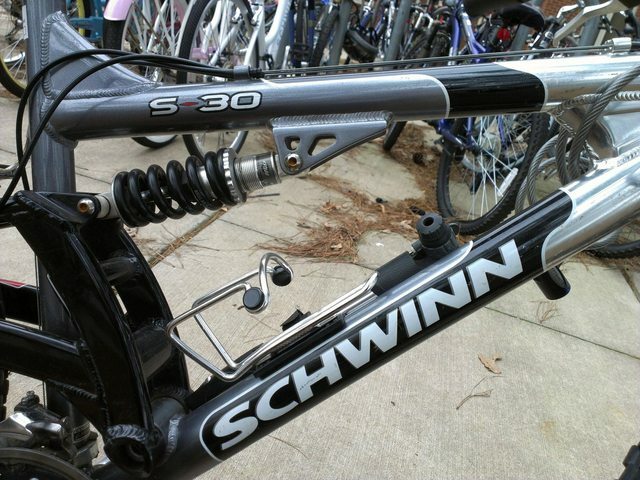 Just saying that you have a Schwinn is pretty generic. In order to be more specific about what you might do and what it might cost, we would need more info like model and pictures. You have a good list going, but replacing those items and not addressing the warped wheel, tires and pedals does not make sense. I wonder if the bike still "fits" you. Your body could change a lot physically between 14 adn 19. You do have a good list, but first you may want to call a few bike shops to see if they may have a set of rims that will fit your bike, they may even have an old bike you can use as a parts bike. 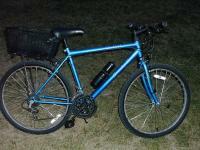 Like RBurrelli said a description and some pics of the bike will help a lot. My apologies, replace the word wheel with rim, I am planning to fix (replace) the warped back rim. 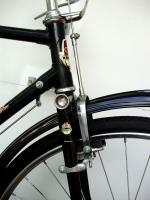 As well as the pedals, the looseness comes from the bearing case, the crank itself appears fine. I'm pretty sure I have grown out of the bike, but I also haven't found any bikes that seem to fit me, they just don't come any larger for < $400 from what I see. Also sorry about the generic-ness, I'll try my best to catch time tomorrow to take pictures and find a model name. I only know of one real bike shop in my area, aside from Walmart -_- and they've been swinging between mildly helpful and exorbitantly expensive. 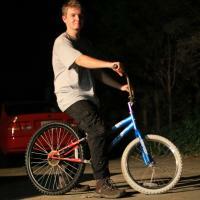 Most of what you mention is relatively easy to deal with and overhauling the bike will be a great experience. But at the end of the day, if this bike really doesn't fit you, I'm not so sure it's worth the time, money, and effort. You should be able to find a decent used bike for a lot less than 400. I think you could probably get something decent new that fits you for under 400 too, but you may have to order online if you don't have much in local shops. Whatever you do, don't buy something from Walmart. 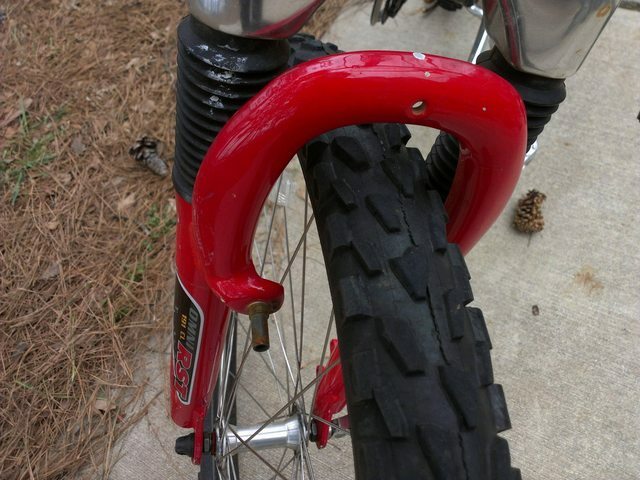 If you are going to fix up the old bike, I would just buy a complete rear wheel. 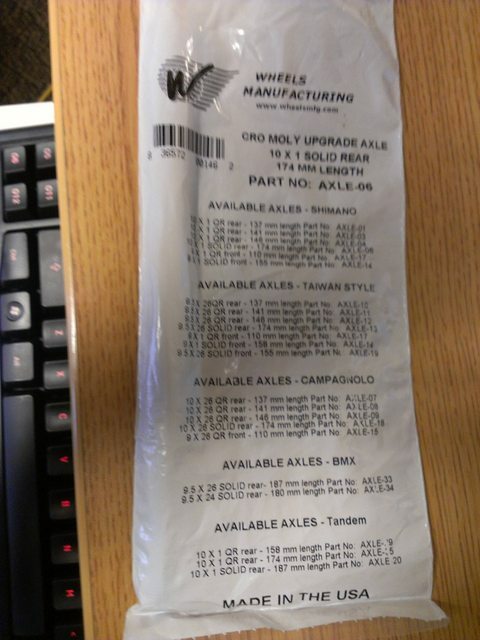 A new axle, rim, and spokes will probably cost you as much or more than just buying a wheel. 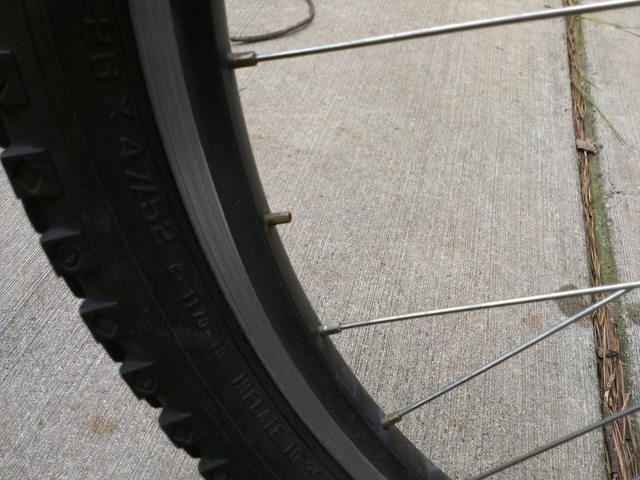 Definitely if you're going to pay someone to re-lace the spokes for you. If your dad knows how to lace a wheel and you're planning to do it together - great project. Just plan for some time to do this. You may need a whole new bottom bracket like you mention, or maybe just bearings. But there are several types and sizes and you have to get the right kind. Post some pictures or start going through the videos on this site to start figuring out what you need. 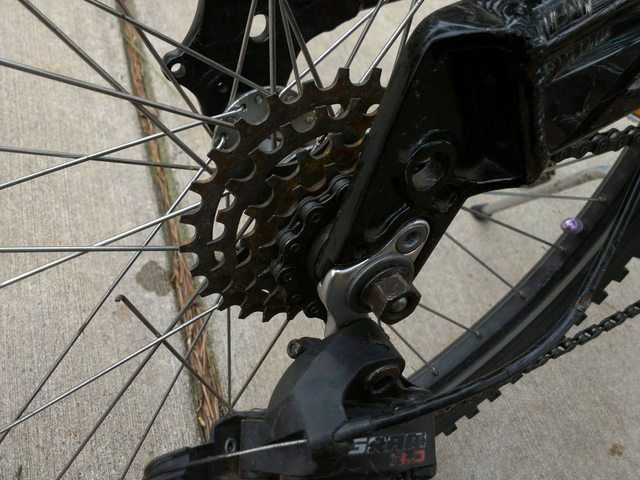 Unless the derailleurs are bent or damaged, they may just need adjustment. Brakes are critical obviously. 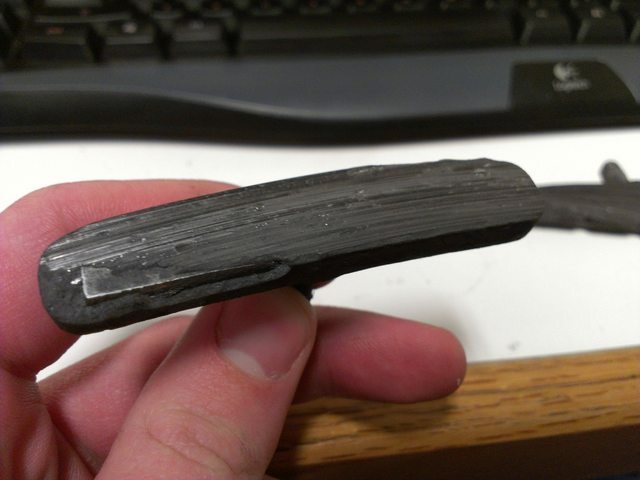 Do you need pads or the whole brake assembly? Pics will help everyone here guide you a lot better. I'll get the profile updated tonight, and add pictures as soon as I can. Thank you guys for the suggestions. I'm still totally torn on whether I've outgrown it though, I think I'll reserve judgement and try to get a picture of me next to the bike for size comparison. Working on the bike will be a pain. My college is awful about space or allowances for things like tearing a bike apart, and I'm already knees deep in trying to rebuild an old car in my spare time. Most likely it'll become a hassle to rush and get things together before I need it to get to work (I'm ~1 month out from the security paperwork I need to start). Standing next to the upright bike, the seat is directly next to my hip. 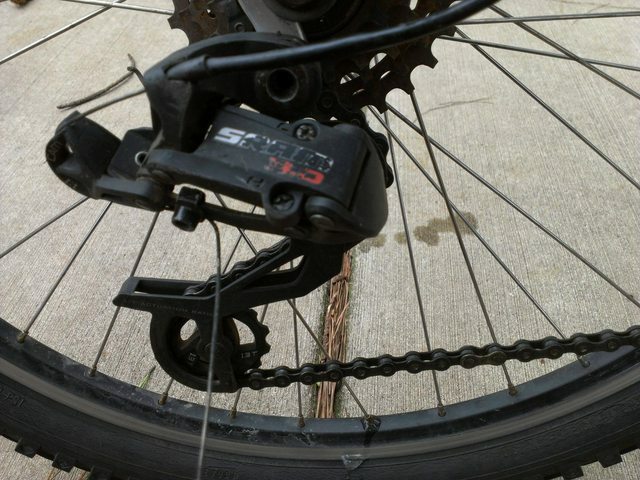 Took a spill last semester because the loose crank would let the chain slip off and get stuck in the back wheel, which completely locked it up. 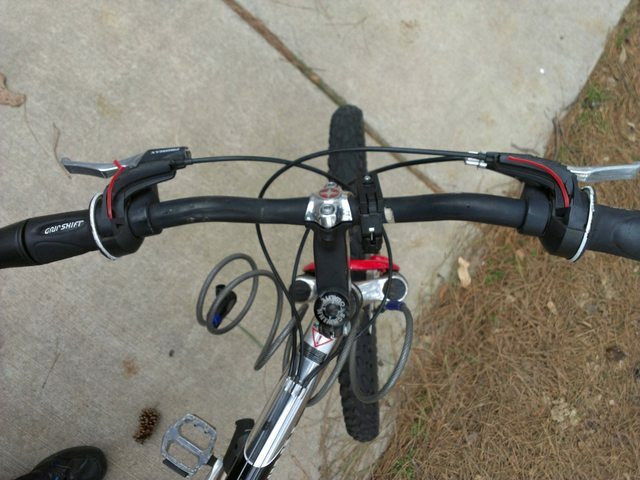 Fell while on a major road near campus, nearly got hit by a Suburban, and walked away from the bike. 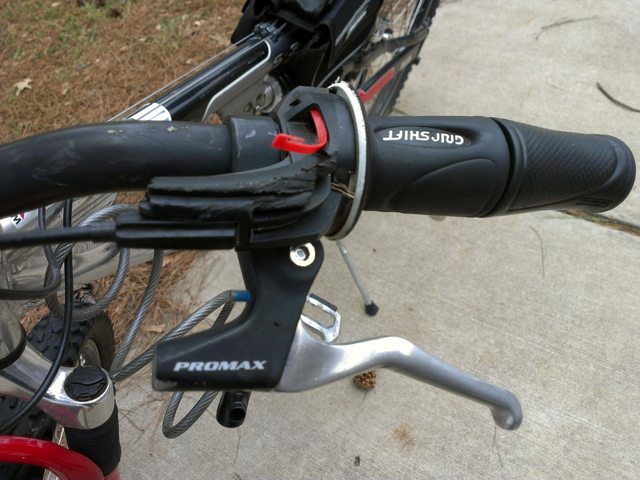 Surprisingly, someone brought it back on campus and left it unlocked at a bike rack. Okay, I think I have a revised plan. I have about $50 that I can set aside until I start working my new job. If I can fix this bicycle up for about that much (forgo the new wheels/rims, but fix the axle, crank, brakes) Then once I have reliable income I'll look for a new bike, and this one will be in shape to be donated or given away. Not bad, I'll keep looking around and try to price stuff at local stores this weekend. 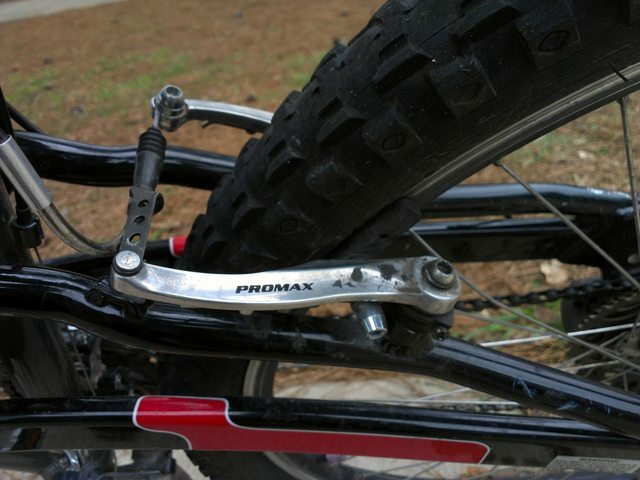 I'm planning to buy the crank puller, like, today or tomorrow so that I can get the pedals off and see what the bearing area looks like. Spacing? Sorry, I'm not sure what the is -_- I know the bent axle is 171mm long and I believe it's 10x1 threads.. Thanks for the clarification, painkiller. Sorry I didn't respond sooner, I never got the email notification thingy. Some supplies I bought arrived today.